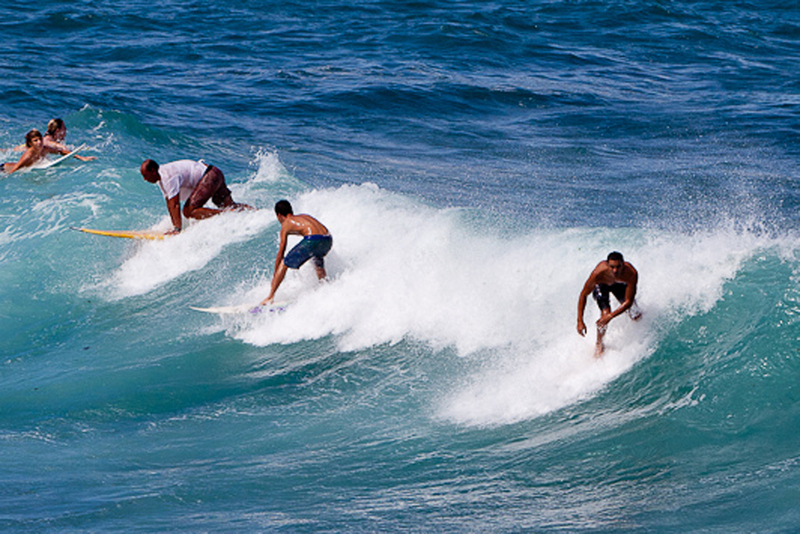 Perhaps the most consistent surfing waves on Maui are at Ho’okipa (pronounced Hō ō key pă) on the north shore about two miles east of the Paia stoplight on the Hana Highway. There’s a great overlook with parking at the east end of the bay. The first two photos in this post were taken from that vantage point. 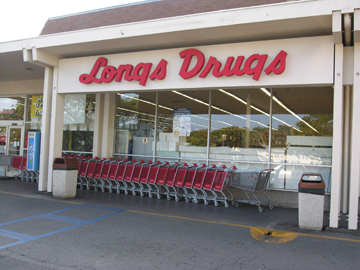 This is a very popular spot for locals. Spectators are fine, but if you don’t know what you’re doing, stay out of the water. Sometimes when the surf is down the wind is up. In that case, you’ll miss the surfers but catch the windsurfers. Sometimes you’ll see both. 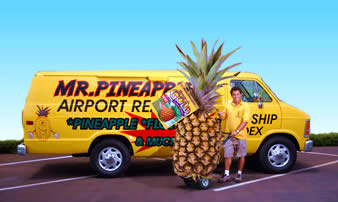 This guy was off to a good start but not a great finish. For perhaps obvious reasons, the surfers and windsurfers tend to stay apart. Whenever we’ve been there the surfers were by the eastern overlook where the big rollers are and the windsurfers farther west. 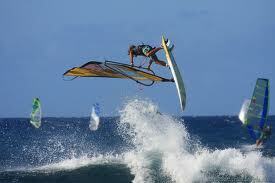 There’s a smaller overlook above the area most popular with the windsurfers. If there’s room, you might get a better view from there. 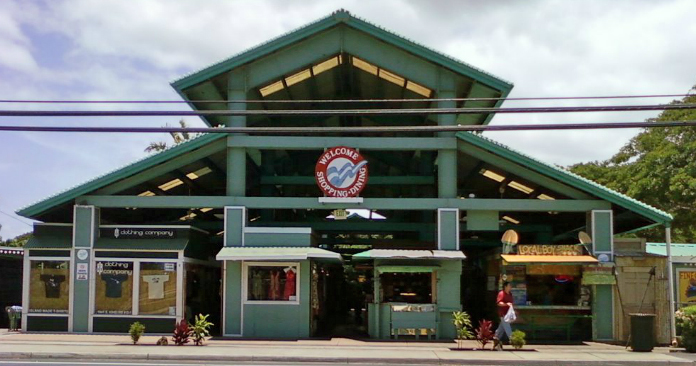 While you’re in the area, catch a bite to eat at one of the restaurants in Paia. 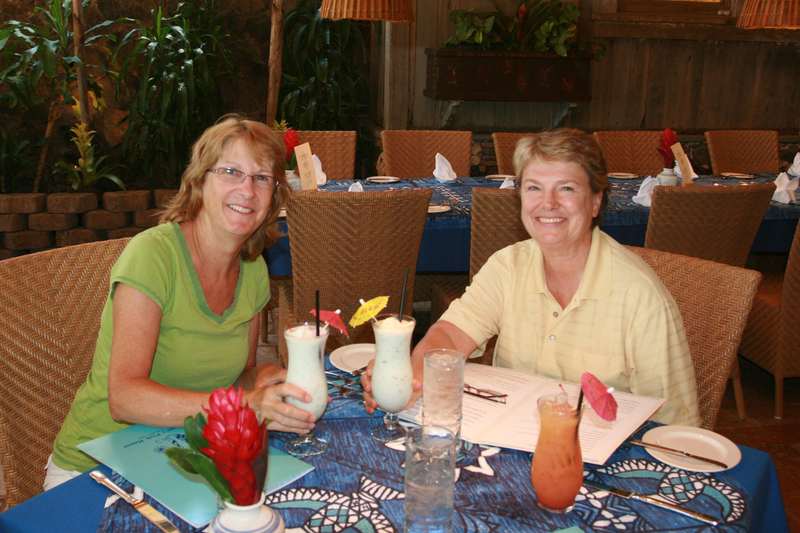 So far our blog has reviewed Cafe Mambo (our favorite for island style pub food) and Mama’s Fish House. Look for other Paia restaurant reviews in the future. 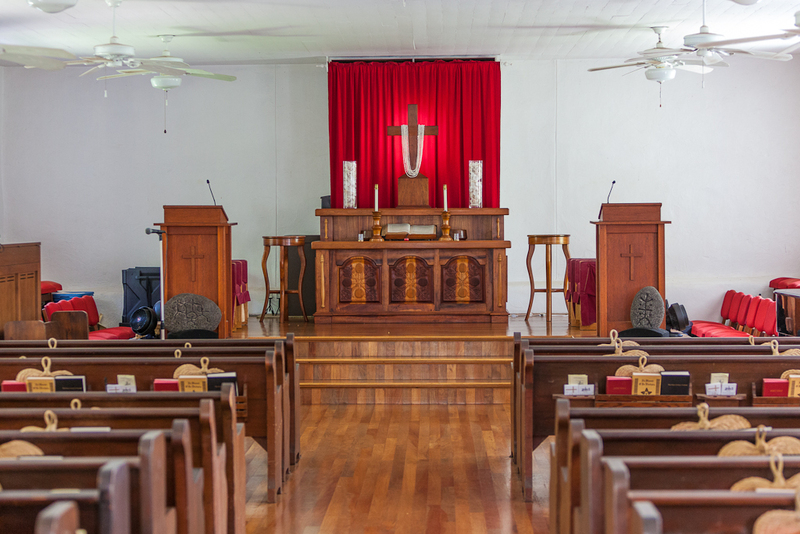 Founded in 1832, the Keawala’i Congregational Church is one of the oldest churches on Maui. The lava stone structure that still stands was built in 1855 using a mortar made of coral. It replaced the original house of worship made of pili grass. Over the years the three foot thick walls have been repaired and the wooden roof and bell tower replaced, but the bones of the 1855 church remain. 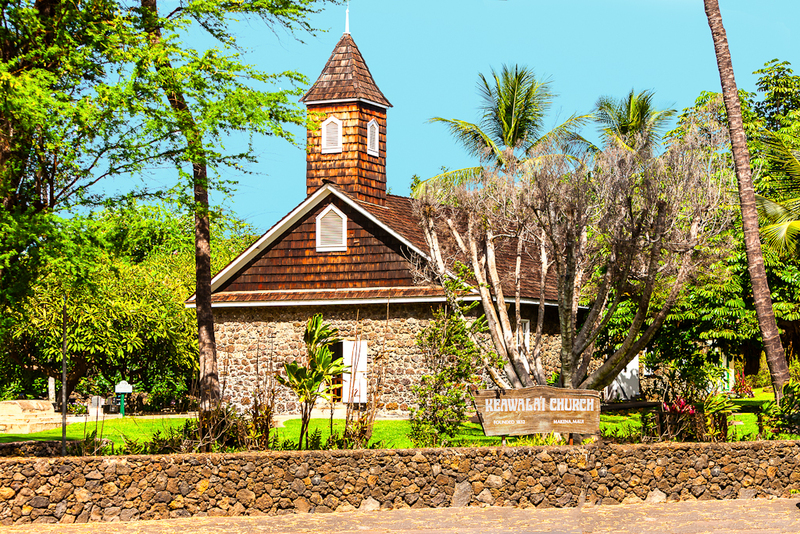 Sometimes referred to locally as “the old stone church,” the Keawala’i Congregational Church is located on a small sandy cove between Makena Landing and Maluaka Beach about six miles south of Maui Vista. From Highway 31, follow the signs pointing to “Makena Landing” and “Keawala’i Congregational Church.” Turn left as you get to the bottom of the hill. The church is just up the road on your right. You can’t miss it. Park across the street in the Maluaka Beach parking lot and look around. If the doors are open you can look inside at the simple handsome interior. Hymnals are provided in both English and Hawaiian and the church owns an early 19th century bible written in Hawaiian. Two services are held each Sunday – one in Hawaiian. The son of a friend of ours was married in the Keawala’i Church in 2010. If you’re interested, you don’t have to be a member to arrange for a wedding, reaffirmation of wedding vows, baptism, or funeral/memorial service. Contact the church for details. The church’s small graveyard by the sea is worth a visit. 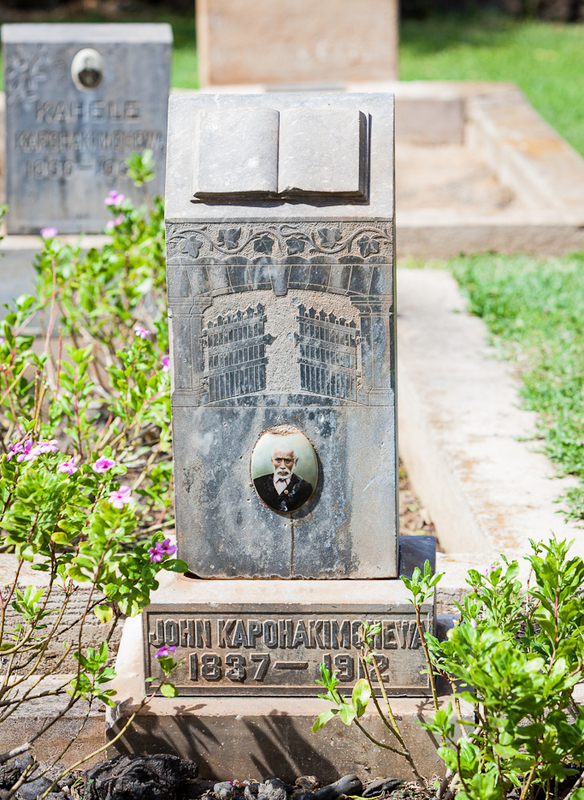 It has old and newer headstones. At the far end of the graveyard is a simple and dignified grave for the remains of a woman from pre-missionary times. Her bones and a comb were found with the remains of a buried canoe when one of the large hotels was constructed in Wailea. While you’re in the area, enjoy the beaches. Both Makena Landing and Maluaka Beach are great for snorkeling, swimming, and relaxing. Check out our post on Makena Landing to learn about snorkeling with turtles. Whether you’re escaping the bitter cold of Canadian winters or the sometimes brutal heat of the American southwest, the climate of Hawaii is a welcome relief. But if you’re from the Pacific Northwest like we are, there is one meteorological phenomenon that you most want to avoid: rain. Every Hawaiian island has its microclimates and Maui is no exception. 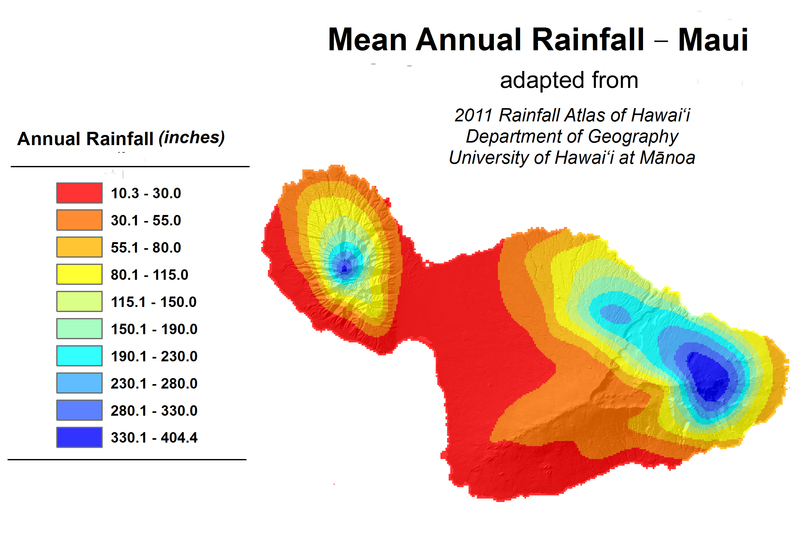 From the daily downpours in the West Maui Mountains (up to 400 inches per year!) and the lush jungles on the road to Hana to the parched cactus lands in the rain shadows of Mount Haleakala and the West Mauis, there is enormous variability. The dryest part of inhabited Maui is the southwest coast including Kihei, Wailea and Makena. The entire area is shielded from the rains that make Hana so green by the 10,000 foot Mount Haleakala. 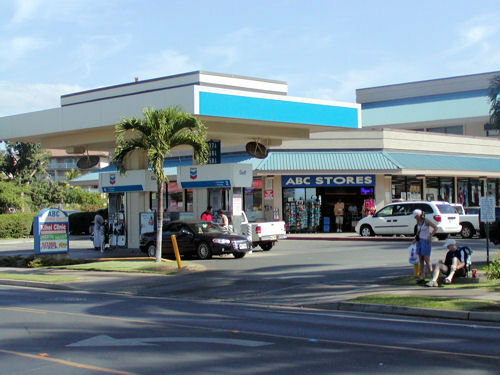 In this dry corner of Maui, the dryest place is Kihei – which is why we say Kihei No Ka ‘Oi (Kihei is the best). 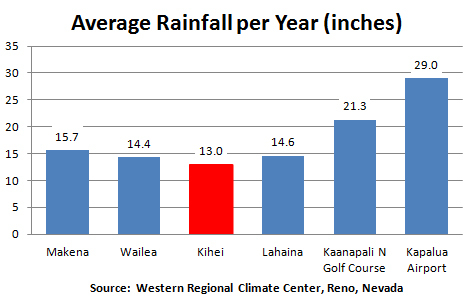 Everywhere on Maui the wettest months are December through March. The best months to avoid rain are May through September. But hey, this is Hawaii – even if it rains, as long as you’re not on the mountain top, the rain is warm. Got a birthday, anniversary, wedding, graduation, or just the need to treat yourself and friends or loved ones to a great meal in a beautiful setting? Go to Mama’s Fish House. Very pricey, very good; Mama’s is a Maui institution. Unless you order a sandwich (still expensive), expect to pay $50+ per person for lunch and more for dinner. The + is for appetizers, drinks, and desserts. While the word “economical” doesn’t really apply to Mama’s, you could have a very satisfying meal with just appetizers and desserts. Reservations recommended anytime – a must in high season. 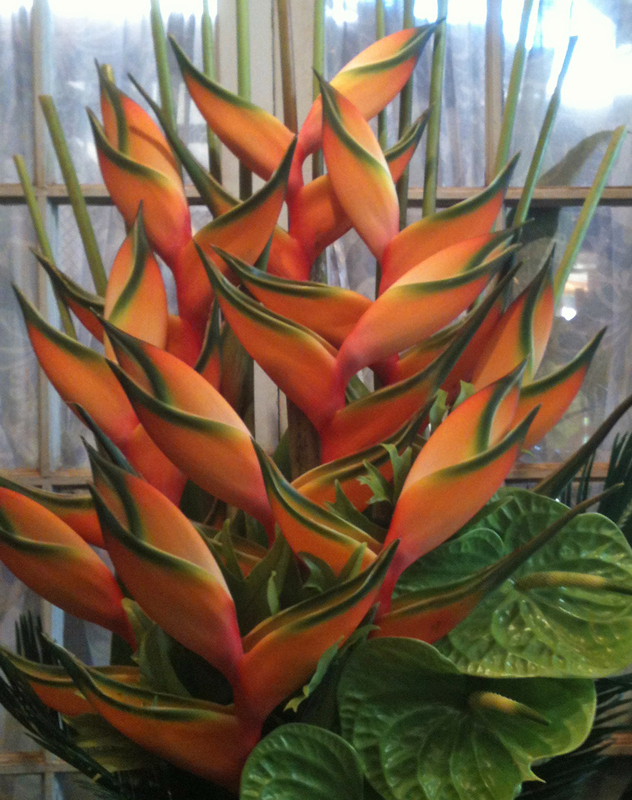 Mention a special occasion and you just might find an aloha card on your table. 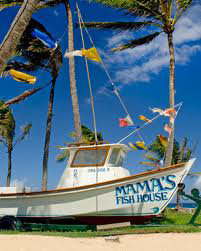 Located on a small beach at 799 Poho Place (1.5 miles east of the stoplight in Paia just off the Hana Highway), the Mama’s Fish House sign (see the picture to the right) is hard to miss. Turn in and turn your car over for free valet parking. Be prepared to stay a while. Walk slowly because everything you see from the time you leave your car until you drive away is tastefully done: admire the views, admire the trees, admire the woodwork, admire the floral arrangements. (Admire the restrooms.) Before you take a bite to eat, admire the presentation of what’s set before you. Of course “tastefully done” uses every sense of the word when applied to food and drinks. While it’s possible to get something else, Mama’s is known for fish. Even if you normally go for the turf rather than the surf, there’s a fish at Mama’s that just might be the best you’ve ever had. The menu is new every day but there are favorites that are always available. For many of the entrées, the menu tells not only where the fish was caught, but who caught it. The waitstaff is knowledgeable, solicitious and displays just the right amount of friendly. If you can, save room for dessert. We were stuffed, but three of us recently shared a small Liliko’i Crème Brulèe that was amazing. The perfect ending to a splendid meal. Your wallet will be lighter when you leave, but I predict you won’t be disappointed. It’s not just a meal, it’s a memory.